Hey there! Thanks for dropping by chasingparadisegalz! Take a look around and grab the RSS feed to stay updated. See you around! Have you ever thought about the true meaning of “Coolness of the Eyes” qurrata a’yun, people translated it in different ways. The Arabs of that time used the expression in several instances that show the beauty of the Aayah. They used it to indicate tears of joy; they would use the expression to talk about something that brought tears of joy to their eyes. 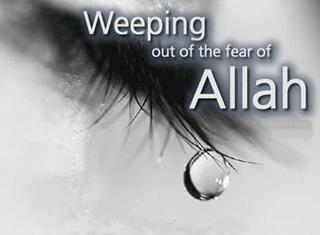 So, in the dua’ we are asking Allah (SWT) to make our families a reason for us to have tears of joy in our eyes. In Pre Islamic Arabia they used to use the term “Warmness of the Eyes” which meant sorrow, sadness and depression, this was one of the worst curses they could make in those times, they would say adkhanallahu ‘ainahu- may Allah make his eyes warm. Another instance where coolness of the eyes is used, is when the Arabs use to travel in the dessert they would be hit by a storm and they could only cover their face up and so as soon as they found refuge they would use the expression ‘My Eyes have finally become cool” in other words coolness of the eyes means seeking joy and happiness and also seeking refuge. The expression “coolness of the eyes” is shown in other places in the Quran, The Quran narrates that ‘Asiah, the wife of Fir’aun, was one of the women who had a very problematic relationship, because she married the worst kind of man that ever lived. The Qur’an even testifies that she at least suffered from psychological abuse, which might be even worse than physical abuse, and she found no place to run. She could not report the domestic abuse to the authority obviously, because her husband was the government himself. So much so that the only place she could turn to was Allah SWT, and she said O Lord rescue me from Fir’aun and the things that he does”. So she’s clearly in a kind of storm that made her eyes warm. And when one day she saw baby Musa AS washed up in the river, she picked him up, and said: “may this baby become the coolness of my eyes and yours”, referring to Fir’aun her husband. Coolness for her eyes, because after finding herself in a very depressing situation, the rest of her life was there to warm her eyes, now she finally found the coolness of her eyes, she finally found a refuge, an escape. But the baby was also the coolness of Fir’aun’s eyes. Fir’aun was a genocidal maniac, he had been killing babies for years in Egypt, and the presence of baby Musa AS in his circle was enough to calm down his madness. This was a special quality that Allah SWT gave to Musa AS, and He said “I have thrown upon you a special love, mahabbah”, from Me. Allah (SWT) teaches us with this Ayah, that in our daily lives we go out to work, earn a living or go for education whatever the reason may be the outside world is like a storm and when we finally arrive home you find your refuge and you meet with the coolness of your eyes when you enter the home. I just now just discovered your site on web optimization facts and I enjoy it a fantastic. I discovered quite a few actually fascinating data listed here. I bookmarked your website and definitely will come back. Hi, Neat post. There is a problem together with your web site in internet explorer, could test this… IE still is the marketplace leader and a big portion of other people will leave out your excellent writing due to this problem. me out loads. I am hoping to contribute & assist other customers like its helped me. Hey There. I found your blog the use off msn. of your helpful information. Thanks for the post. I will certainly comeback. clear your head before writing. I have had a tough time clearing my mind in getting my thoughts out there. 10 to 15 minutes are usually wasted just trying to figure out how to begin. Any suggestions or hints? Do not call out irrationally when a calamity strikes you be patient and think of the rewards you will get from Allah. WHAT IS TAHLIL AND MAWLID?